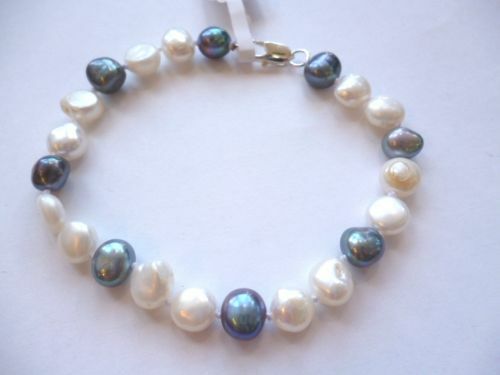 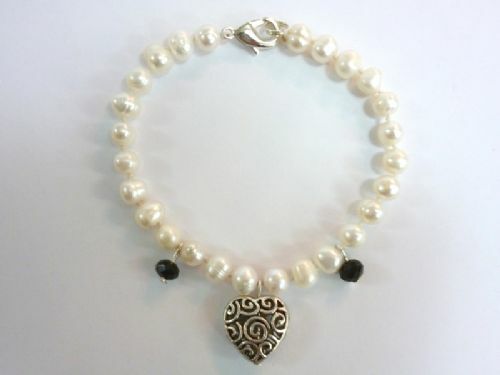 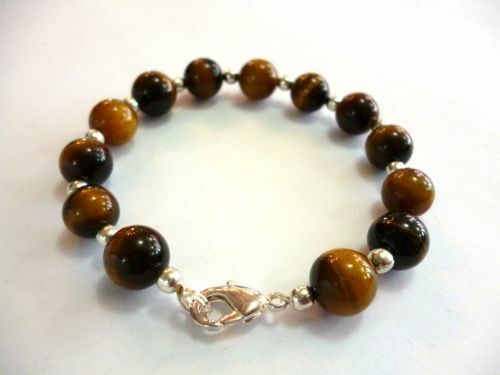 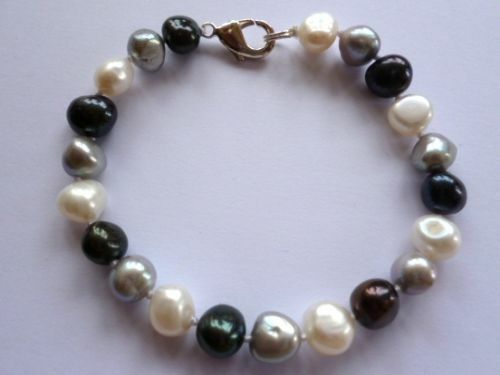 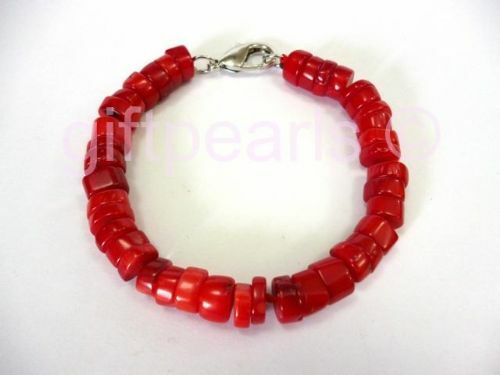 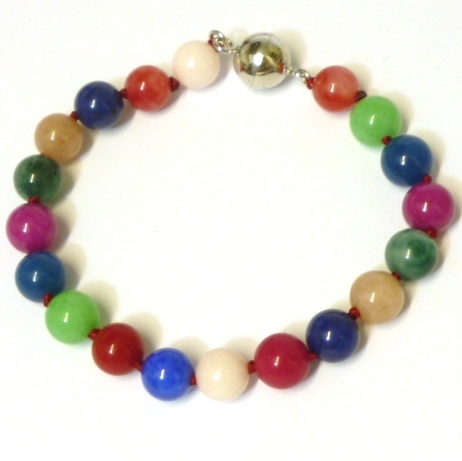 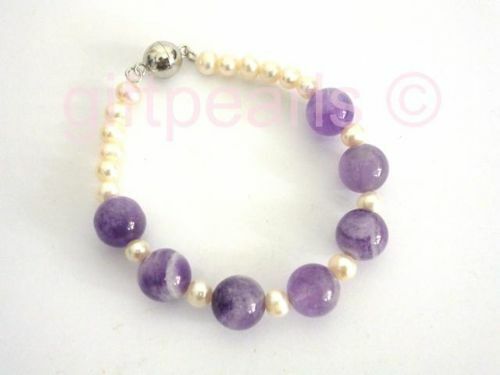 A great selection of pearl and gemstone bracelets. 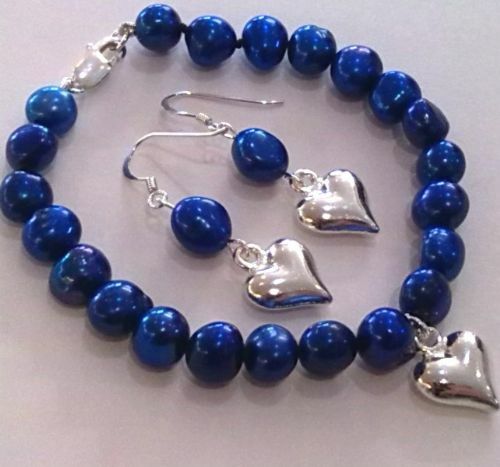 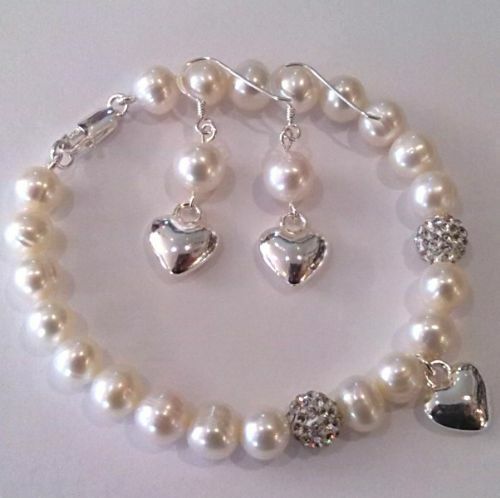 Ideal gifts - or to treat yourself! 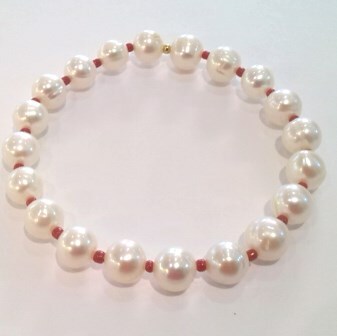 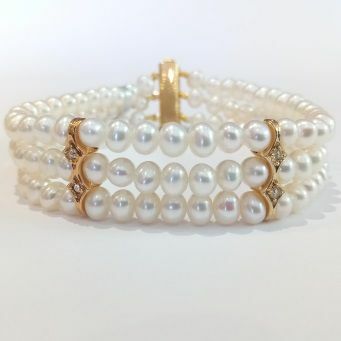 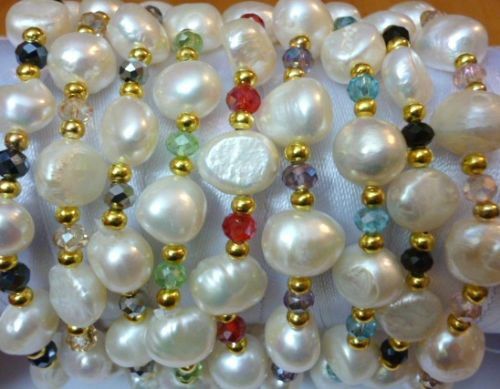 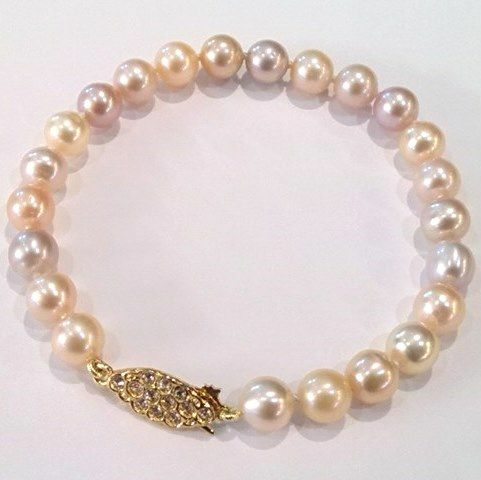 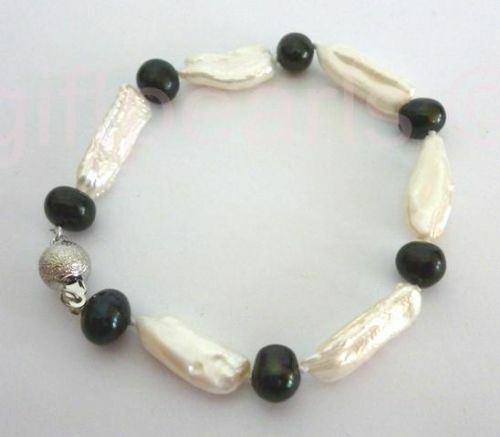 Triple stranded bracelet of large, lustrous white Baroque pearls. 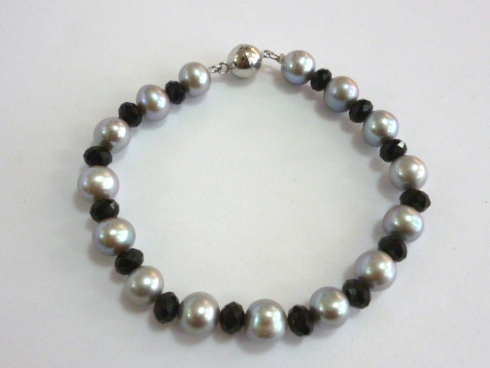 Black pearl bracelet with Sterling silver clasp. 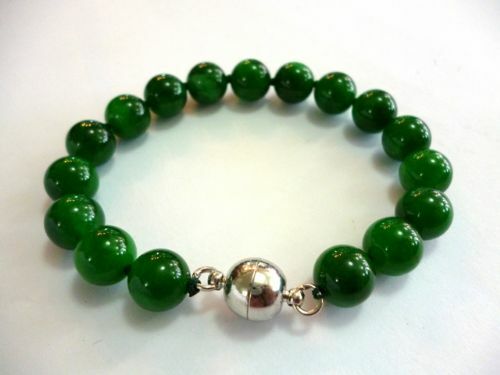 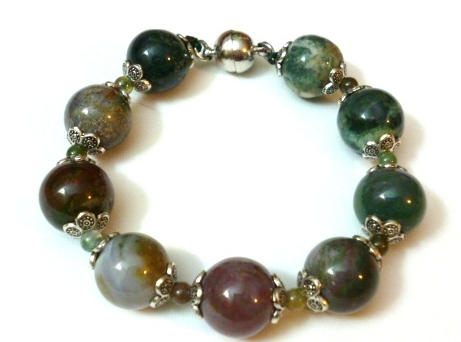 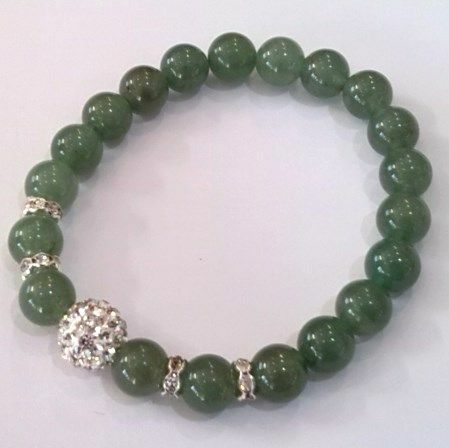 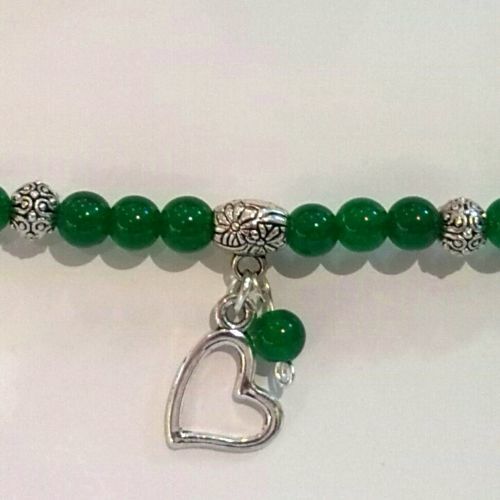 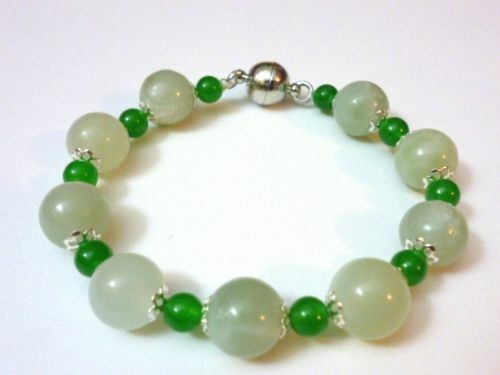 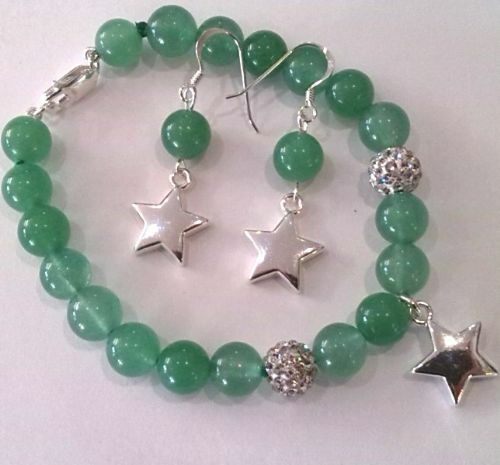 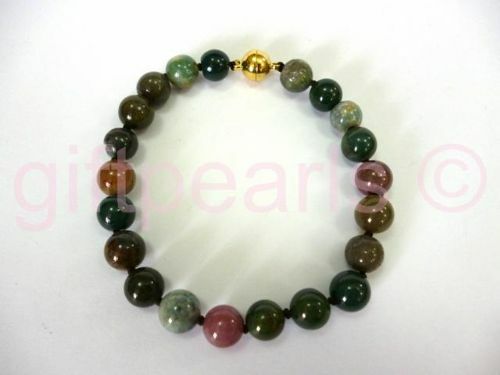 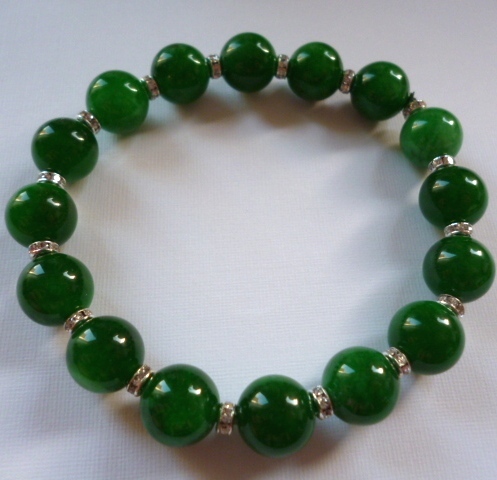 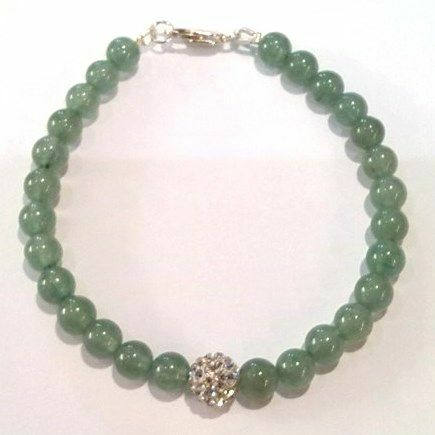 Green Jade Bracelet with Pendant Heart. 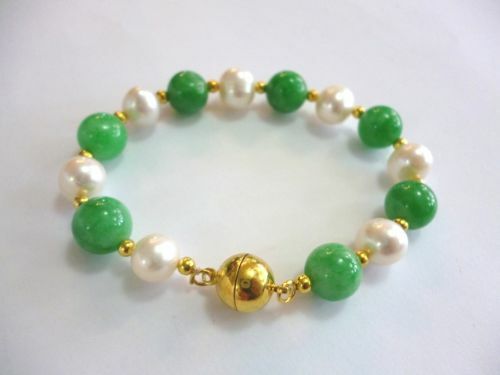 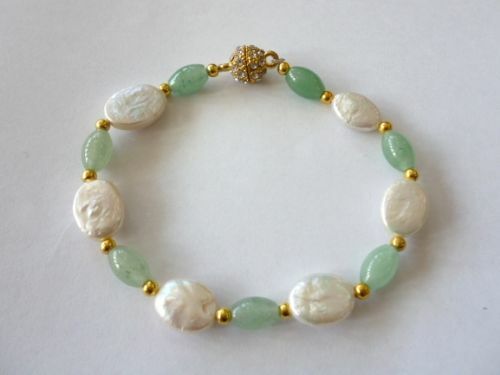 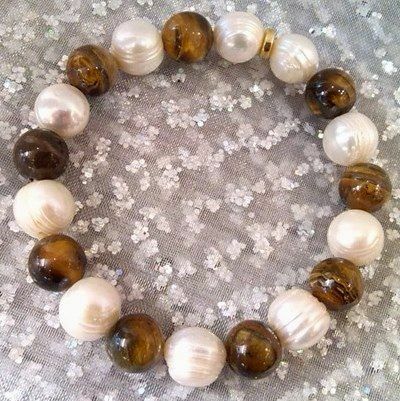 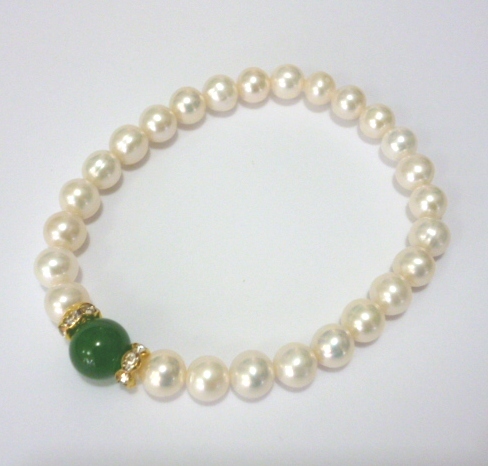 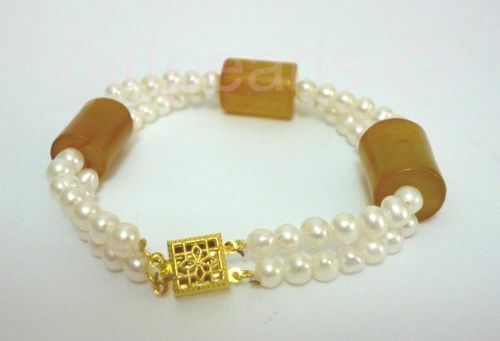 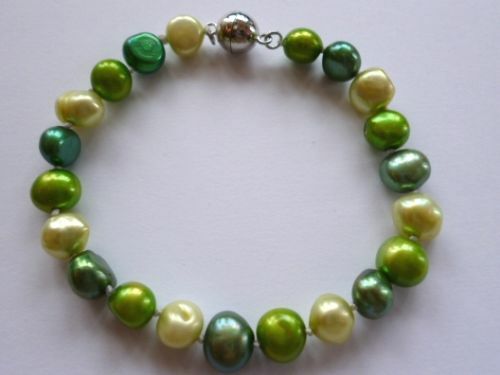 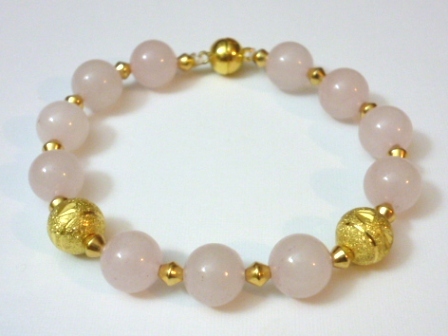 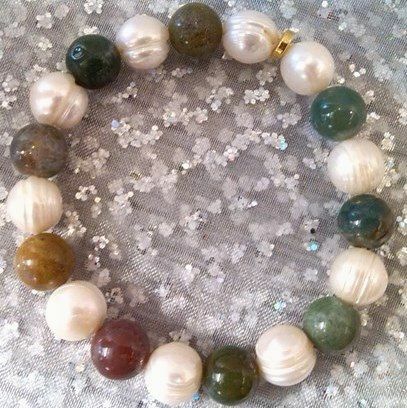 Pearl and Yellow Jade bracelet. 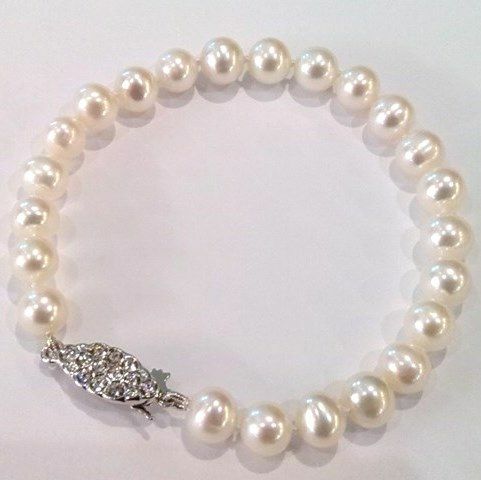 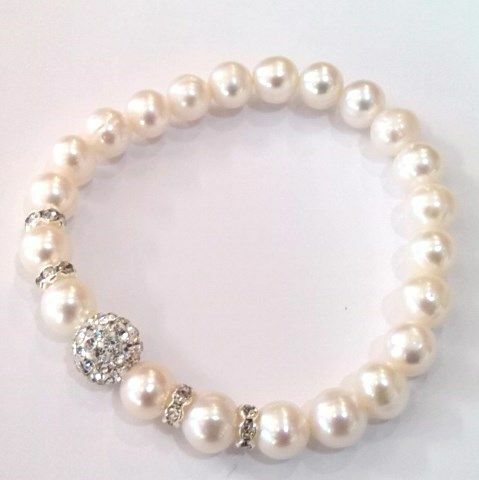 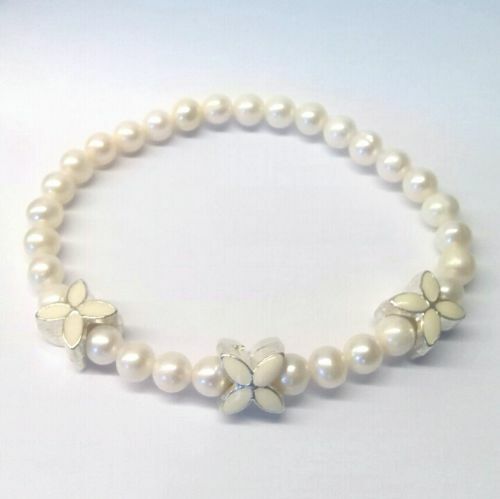 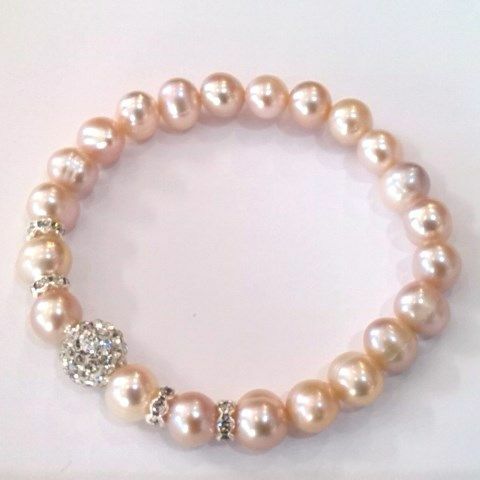 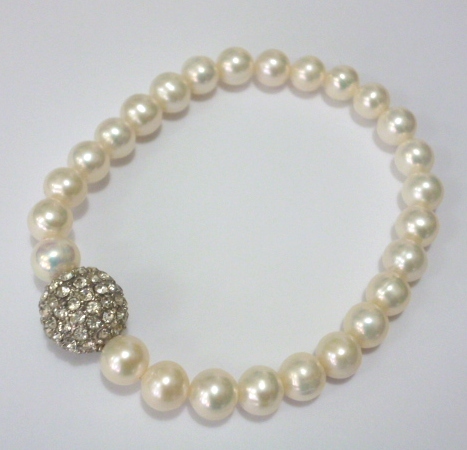 White Pearl Bracelet - with sparkle. 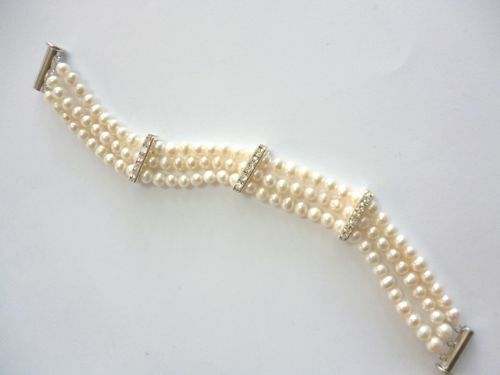 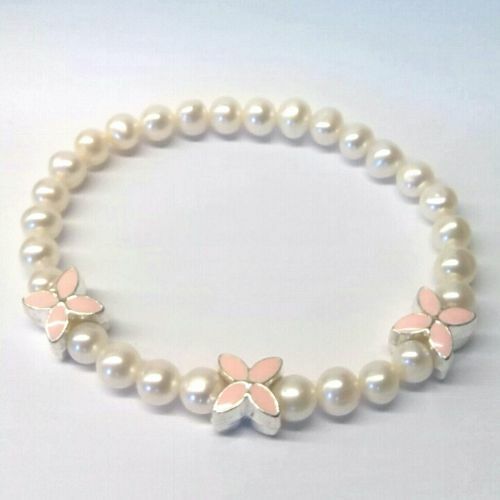 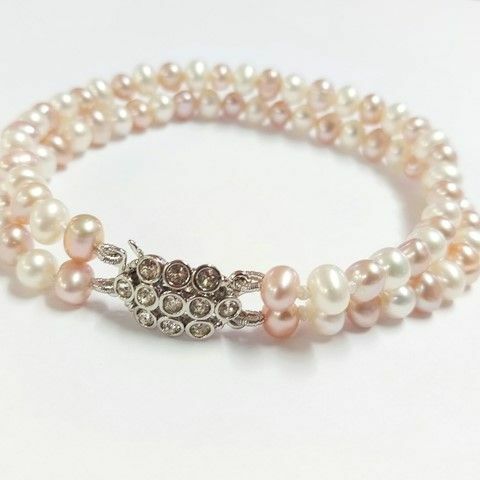 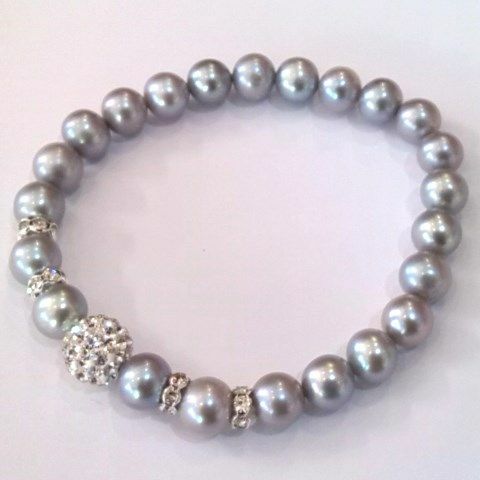 Pearl bracelet with featured 10 mm pearl and rhinestone spacers. 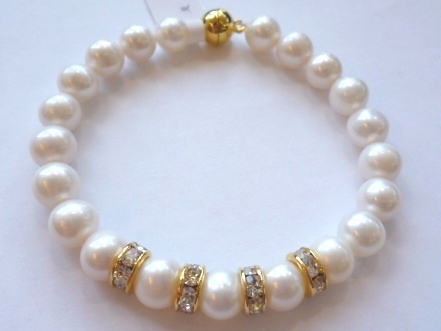 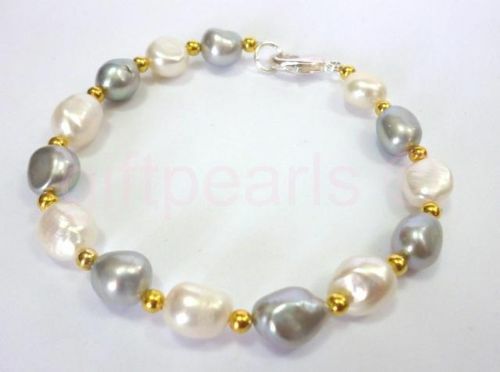 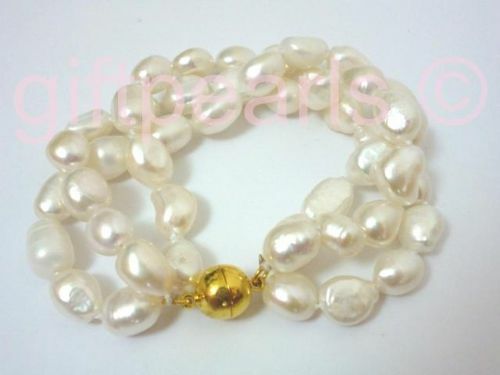 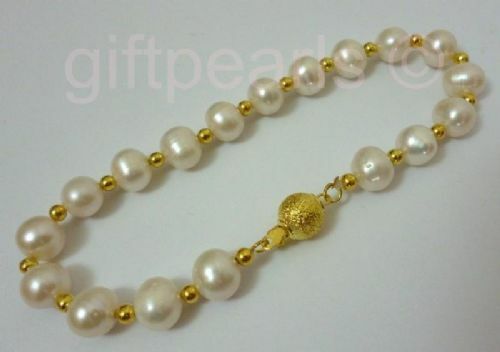 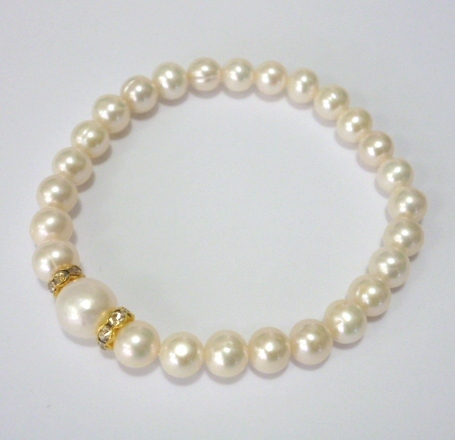 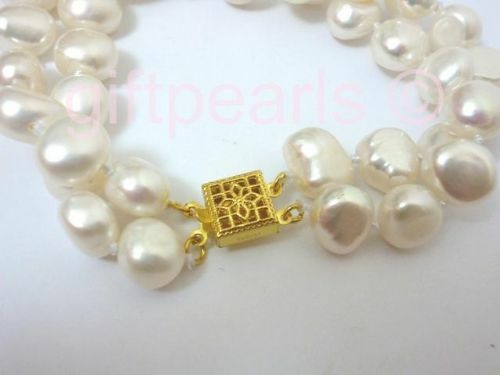 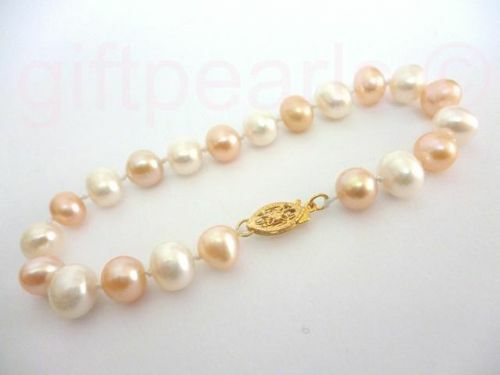 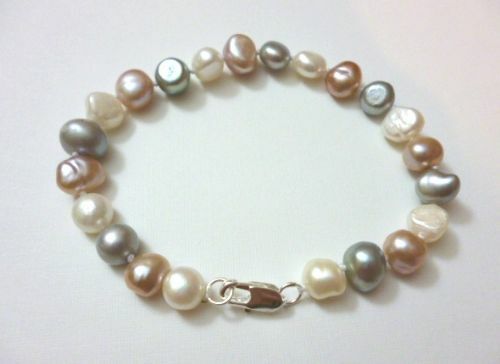 White pearl and golden bead bracelet with textured GP clasp. 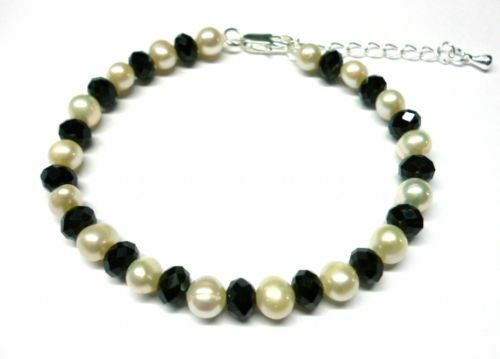 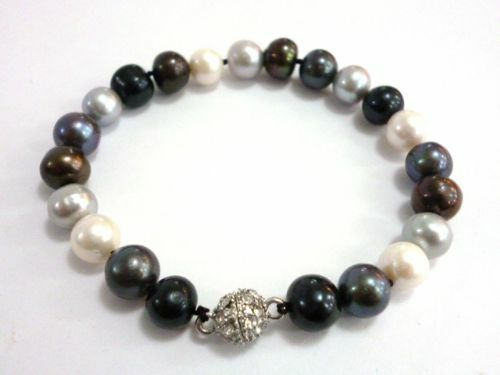 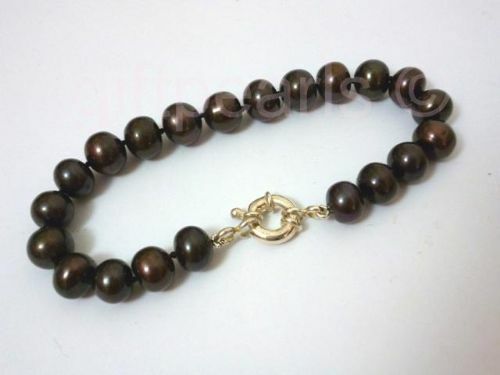 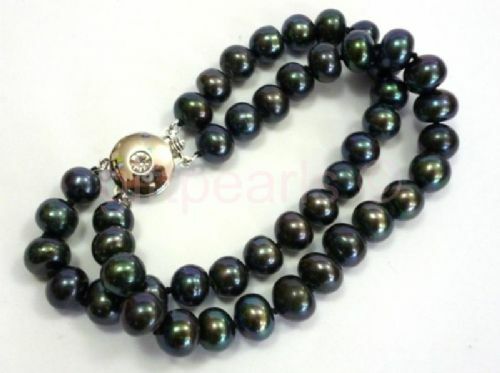 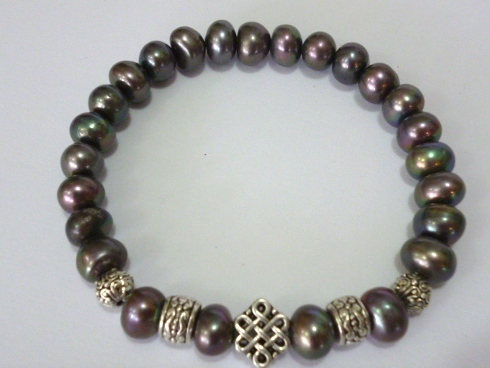 Biwa and black pearl bracelet. 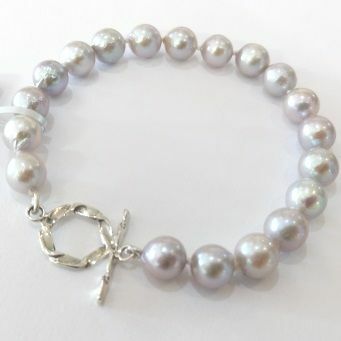 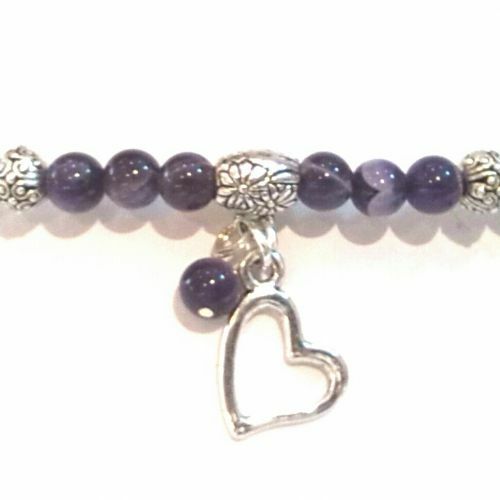 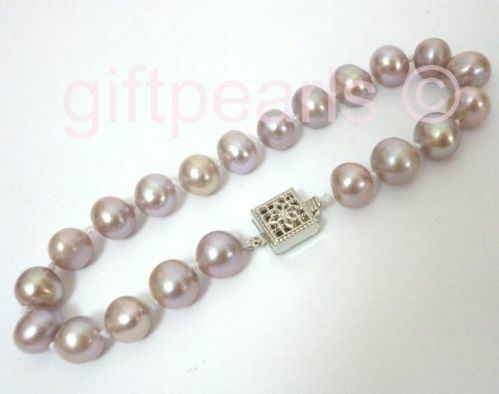 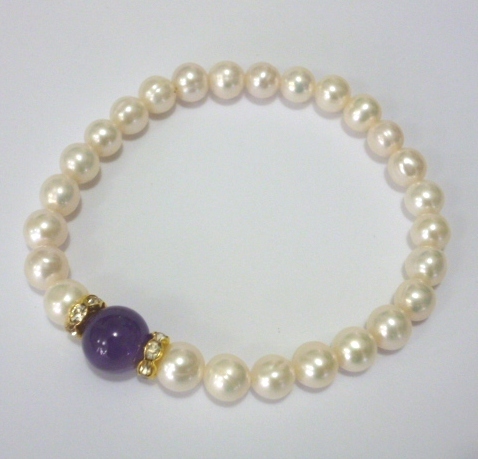 Lavender pearl bracelet with square filigree clasp. 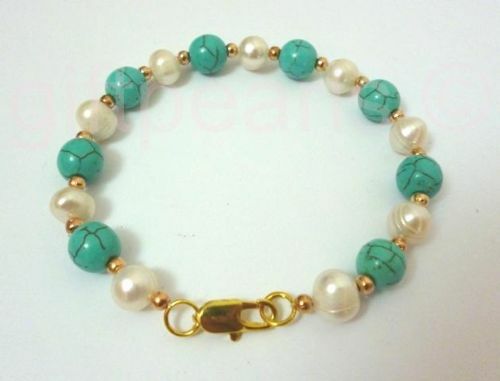 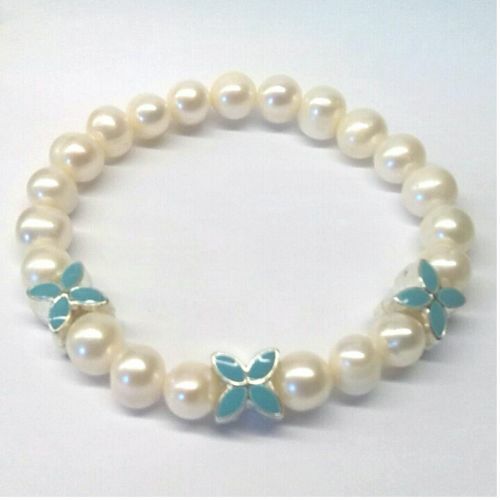 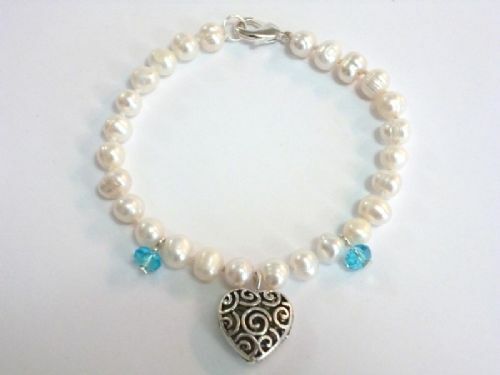 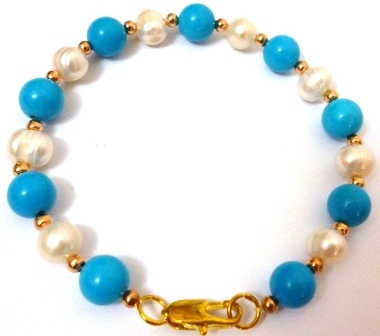 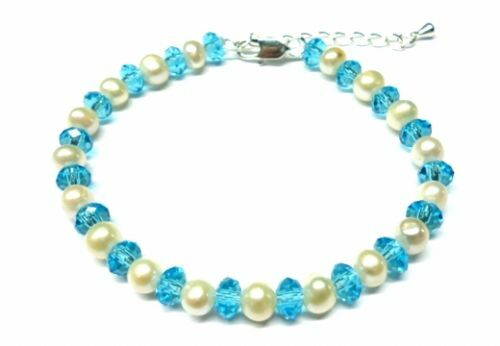 Pearl and blue turquoise bracelet. 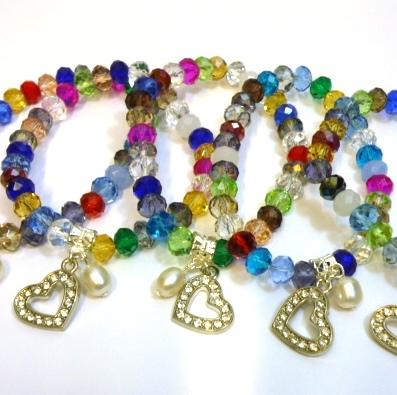 Multicoloured Austrian Crystal Bracelet with pendant pearl and heart. 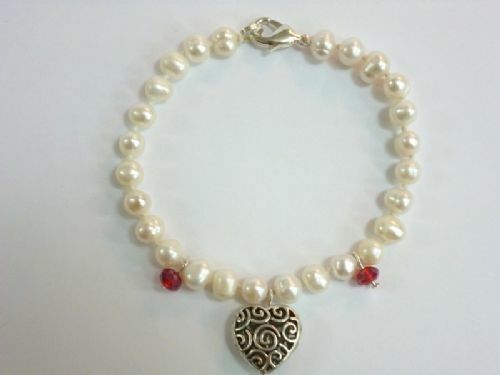 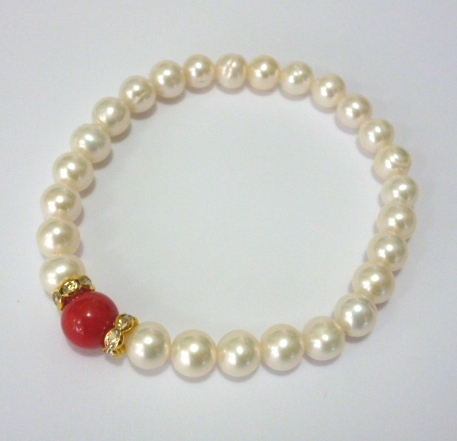 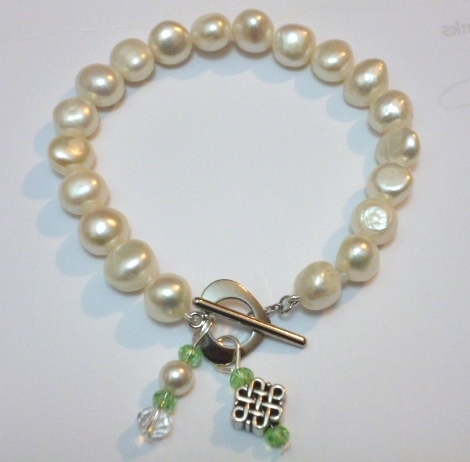 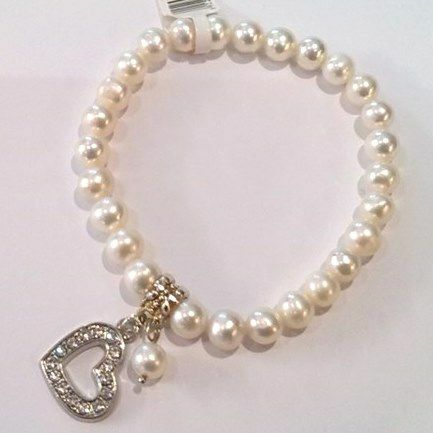 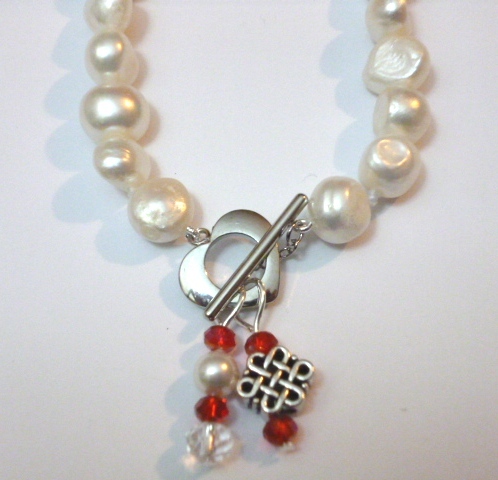 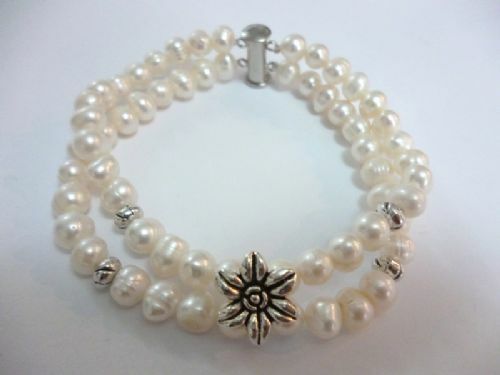 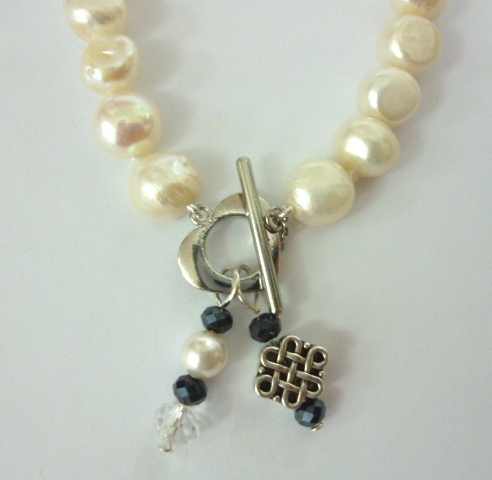 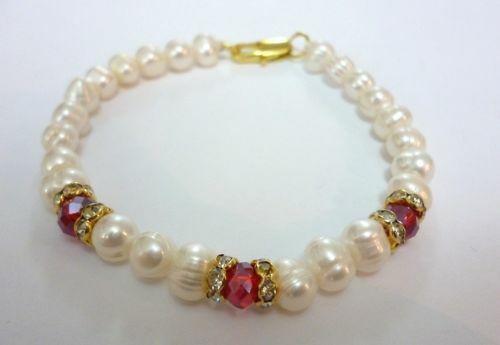 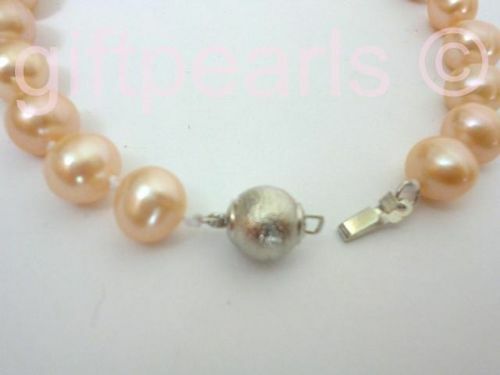 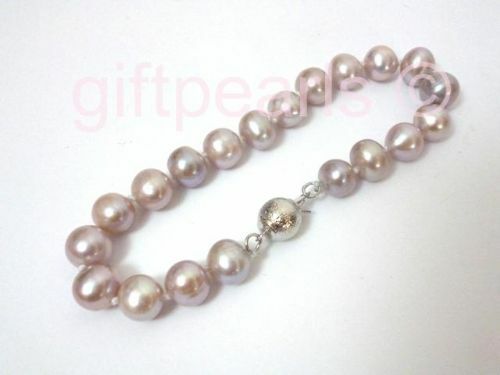 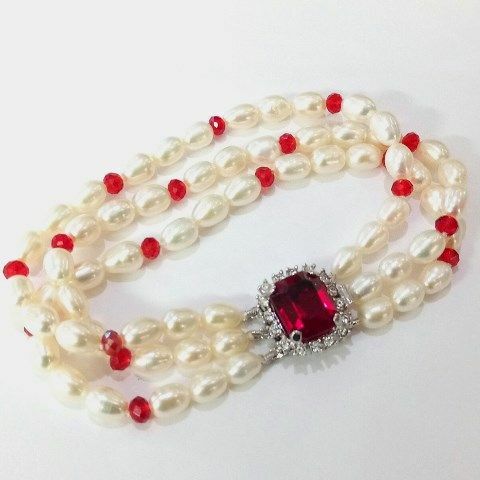 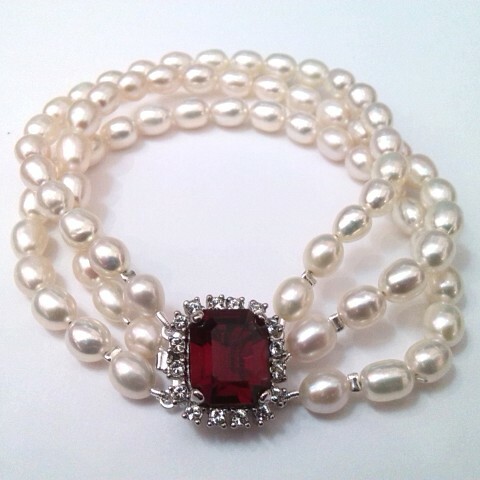 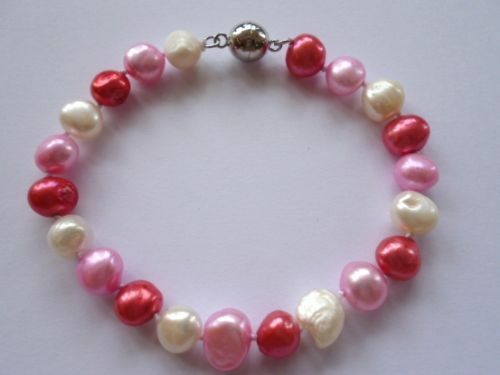 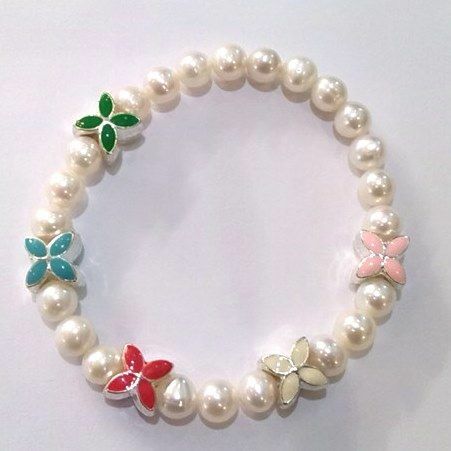 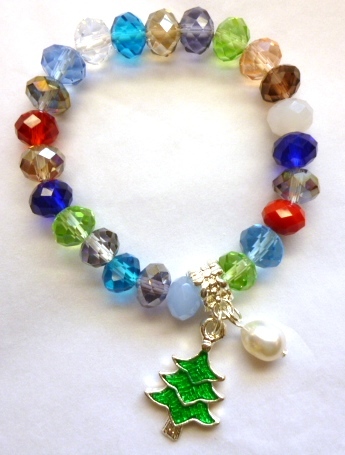 Child's Austrian Crystal Bracelet with pearl and Christmas pendant.